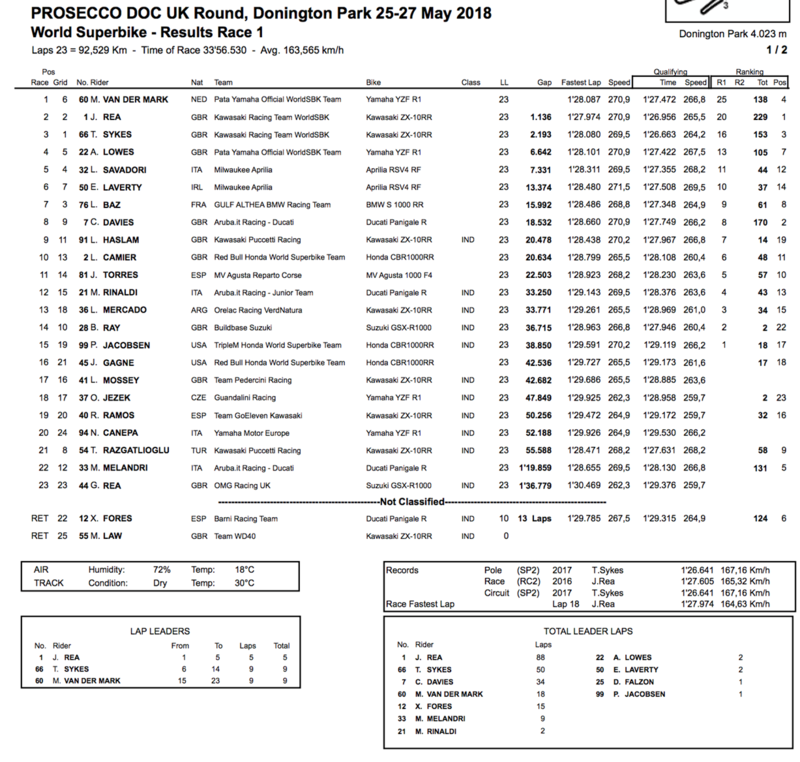 Michael van der Mark took a jubilant debut World Superbike victory in a tense opening race at Donington Park this afternoon to deny three-time World Champion Jonathan Rea the all-time World Superbike win record. As expected after practice and qualifying, it was the Kawasaki duo of Sykes and Rea out in front in the early stages, but van der Mark, who gambled on the new Pirelli SC0, looked comfortable in third. With the Kawasaki’s pushing each other into making mistakes, van der Mark was waiting in the wings and slipped past Jonathan Rea at around mid-distance before barging his way past race leader Sykes at the Melbourne loop. As the race hit two thirds distance, Sykes’ pace appeared to slow with Rea all over him for second place. However, the Yorkshireman wasn’t going to relinquish second easily and put up a strong fight against his team-mate, allowing van der Mark to stretch a gap at the front. Finally past Sykes, Rea set about chasing van der Mark down but it wouldn’t be enough for the Ulsterman. Despite closing the lead down to 0.5 ahead of the final lap, the Dutchman would cross the line 1.1 seconds ahead to take Yamaha’s first win since 2011. 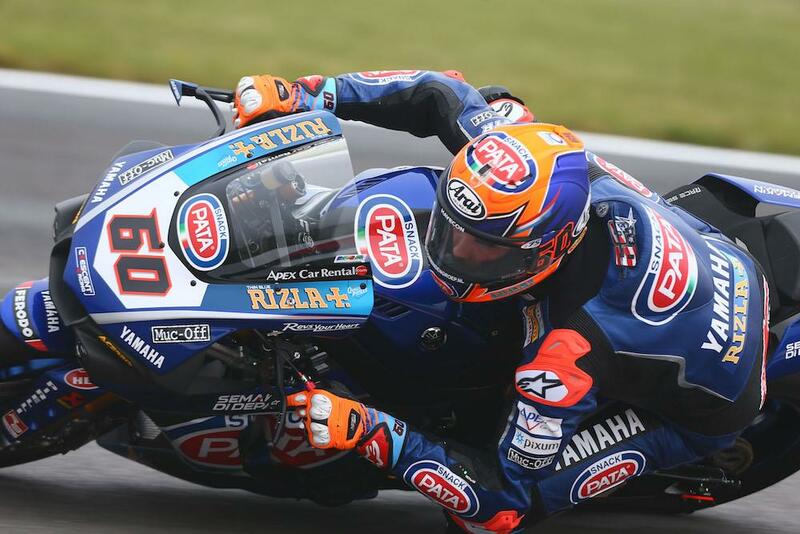 Alex Lowes took a strong fourth place at his home round ahead of the Milwaukee Aprilias of Lorenzo Savadori and Eugene Laverty taking fifth and sixth respectively. Leon Haslam took ninth after a coming together with team-mate Toprak Razgatlioglu on the final lap while Leon Camier rounded out the top ten. Brit wildcard Braley Ray was in the points in 14th with fellow BSB star Luke Mossey 17th and Gino Rea 23rd. Mason Law pulled off the grid with a technical issue.